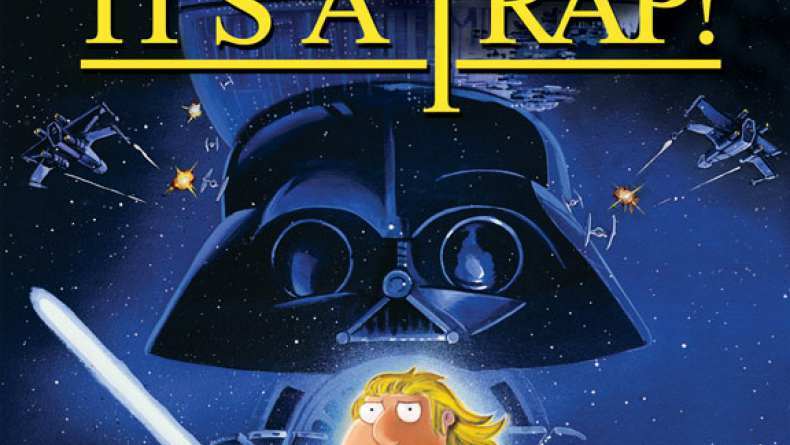 The second trailer for Family Guy: It's a Trap!. In this spectacular and offensively uproarious final chapter, Luke Skywalker (Chris) and Princess Leia (Lois) must travel to Tatooine to free Han Solo (Peter) by infiltrating the wretched stronghold of Jabba the Hutt (Joe), the galaxy’s most loathsome and dreadful gangster. Once reunited, the Rebels team up with a tribe of Ewoks to combat the Imperial forces on the forest moon of Endor. Meanwhile the Emperor (Carter Pewterschmidt) and Darth Vader (Stewie) conspire to turn Luke to the dark side, and young Skywalker is determined to rekindle the spirit of the Jedi within his father. The Galactic Civil War has never been more outrageous, as the Rebel forces gather to attack the seemingly defenseless and incomplete second Death Star in the battle that will determine the fate of the galaxy.